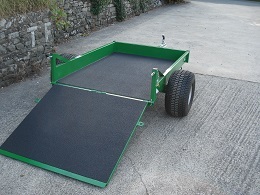 Greensmower Trailer - Trailer finished in either hot dipped galvanised or colour coded to suit customers requirements. Swivel safety hitch. 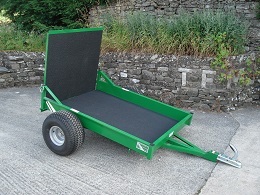 £1,200 - PRICES ARE EX WORKS, PLUS DELIVERY CHARGE, PLUS VAT.